Each month’s Offertory Prayers includes an “Invitation to the Offering” (see below) along with a digital image for those who might want to use it. We hope you will find this a helpful way to remind the people in your pews that their offering travels to many places to make a powerful difference in the lives of people they may never meet. You can find great stories of the difference our giving makes at umcgiving.org. Your offering last week empowered ministry within our congregation and in response to the needs of our community. It also supported the work of the bishops of The United Methodist Church through our Episcopal Fund. Our 66 active bishops provide supervision, accountability, and visionary leadership to annual conferences around the globe. They also serve the whole church, leading the many boards and agencies of The United Methodist Church and providing our prophetic witness. They are supported by the whole church, not just one episcopal area, but by all our giving for shared ministries/connectional giving. 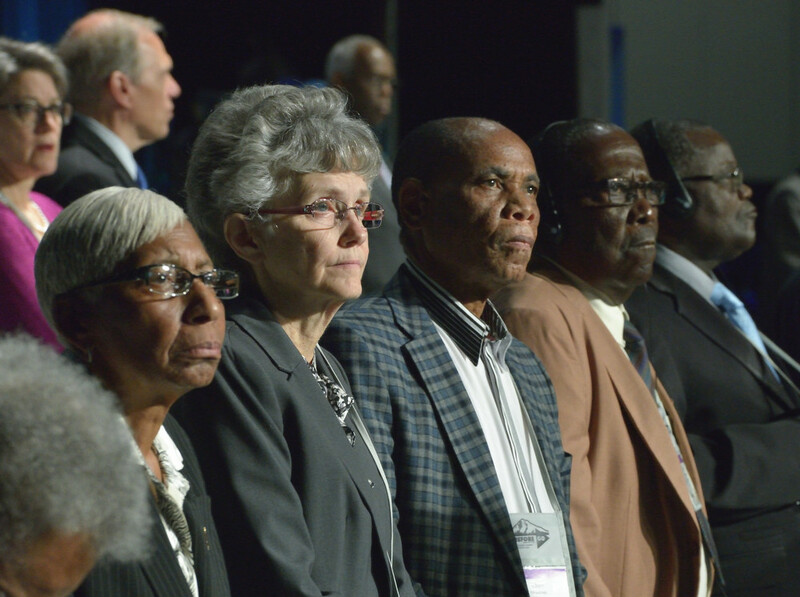 Their leadership happens, thanks to the way the people of The United Methodist Church live and give connectionally. I invite you to give generously, as we worship God through sharing our gifts, tithes, and offerings. Note: The following prayers relate to lectionary texts selected for use in Discipleship Ministries’ worship resources. May 5 & 12, 2019 connect with the "Living" Easter 2019 Series, Part 1. May 19 & 26 2019 connect with the "Loving" Easter 2019 Series, Part 2.